Some people say snacks are no laughing matter. They think food is only meant to nourish, not amuse. Well, they can go ahead and keep on strolling down Serious Street because we believe natural has what it takes to make you smile so big, you laugh for no reason. 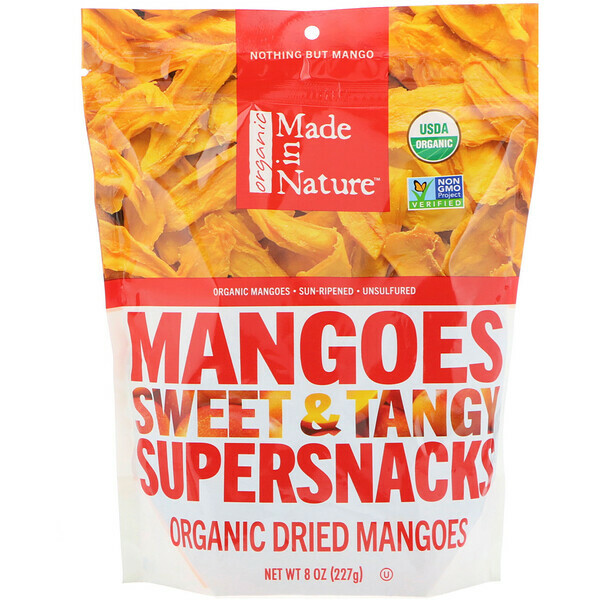 Enter: our Organic Mangoes. 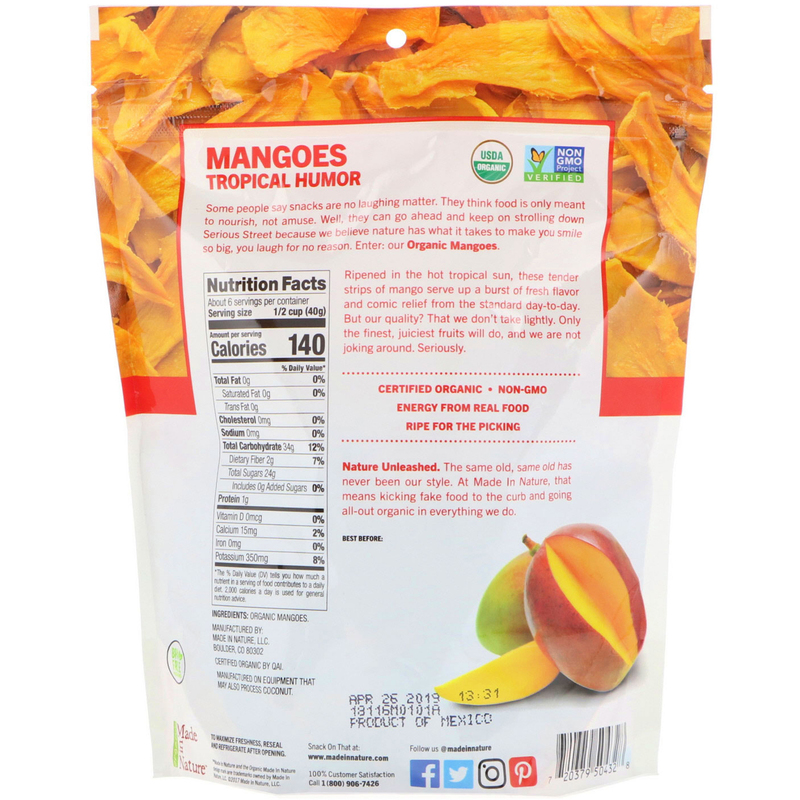 Ripened in the hot tropical sun, these tender strips of mango serve up a burst of fresh flavor and comic relief from the standard day-to-day. But our quality? That we don't take lightly. Only the finest, juiciest fruits will do, and we are not joking around. Seriously. Nature Unleashed. The same old, same old has never been our style. At Made In Nature, that mean kicking fake food to the curb and going all-out organic in everything we do. Manufactured on equipment that may also process coconut. *The % Daily Value (DV) tells you how much a nutrient in a serving of food contributes to a daily diet, 2,000 calories a day is used for general nutrition advice.